Is your business one of the nearly 300,000 small and medium sized U.S. enterprises (SMEs) that exports? Are you reaching any of the 95 percent of consumers who live outside of our borders? If not, you have probably considered how international trade could transform your sales and drive future growth. You’ve probably also found that the challenge is getting your strategy off the ground, particularly on the financial front. The same challenge applies to those companies that have already taken the global plunge, but are hoping to expand their reach. Getting your trade financing options in order requires a clear understanding of all the resources available to help. The U.S. Department of Commerce’s International Trade Administration (ITA) and its National Export Initiative are certainly the places to start. The ITA’s Trade Finance Guide is a must-read for existing exporters and potential new exporters, as it offers a helpful overview of many of the private and government-sponsored financing options available for traders. It also provides a review of the methods of payment that exporters must line up when doing business abroad, including cash-in-advance, letters of credit, documentary collections and open account transactions. Finally, the guide includes an explanation of export credit insurance, which protects an exporter against the risk of nonpayment by foreign buyers. With fewer resources on hand to develop sales channels, build inventory and line up logistics strategies, small businesses are most interested in finding out exactly how they can take advantage of government-guaranteed export working capital programs (EWCP) and other financing through the government. Smaller companies may also be wary of the high financing rates offered by private commercial banks, and therefore U.S. backed options and alternative financing are essential. Two government agencies – the Export-Import Bank of the Unites States (Ex-Im Bank) and the U.S. Small Business Administration (SBA) – collaborate to provide EWCP in concert with commercial lenders. 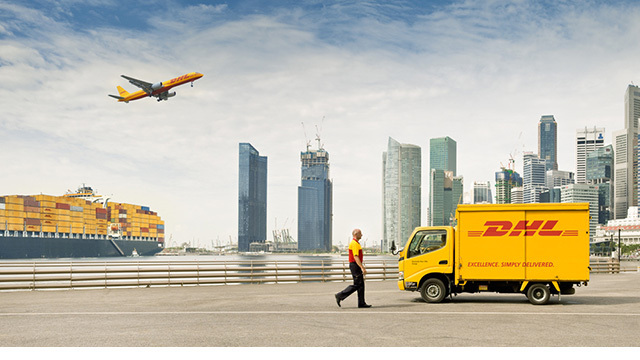 At DHL Express, we provide a helpful overview of Ex-Im and SBA programs and documentation requirements through a comprehensive webinar as part of our export services, developed in partnership with the U.S. Commercial Service. The SBA offers short-term, transaction-specific working capital loans to small business exporters through multiple programs – the Export Express Loan Program (up to $500,000) and the Export Working Capital Program (up to $5 million). The Ex-Im offers a working capital guarantee program, with loans made by commercial lenders and backed by the Ex-Im’s guarantee. Types of transactions that these capital loans may cover include payments for raw materials, equipment, supplies, labor and overhead. Post-shipment financing of accounts receivables may also be covered in certain loans. Small businesses can also benefit from the SBA’s facilities development financing (up to $5 million), which provides loans to acquire, construct, renovate, modernize, improve or expand facilities and equipment used in the U.S. to produce goods or services related to global trade. And, a small company’s international buyers may also access loan and lease programs through the Ex-Im. To get your business going global, and to learn more about all of the export financing options available, contact one of the many U.S. Export Assistance Centers located in cities across the country. Professionals from the SBA, U.S. Department of Commerce, Ex-Im Bank, and other public and private institutions are available through the Centers to help.